" Ideal for a department or small company." 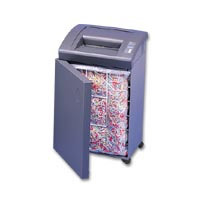 The GBC 3220S Office Shredder - The Shredder has an auto on-off button. EZ-Feed throat. Bag Full shut off. 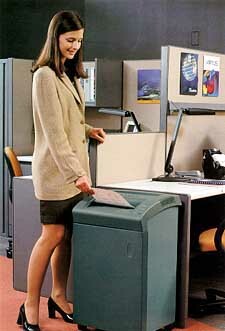 1.75 cubic foot shred bin. SmartShred Controls-separate indicator lights for power on, bin full, overload, and door ajar. Continuous-duty rated motor never needs a cool down period. Easy roll casters. Shipping Weight � 61 lbs.